In 1888 the most infamous serial killer of all time, Jack the Ripper, began his reign of terror in the East End of London. Between August and November, five horrifically violent murders took place in Whitechapel. There was a huge manhunt, but the Ripper was never caught. Since then there has been endless speculation about who the Ripper was, what motivated his crimes, and how the killer escaped justice. 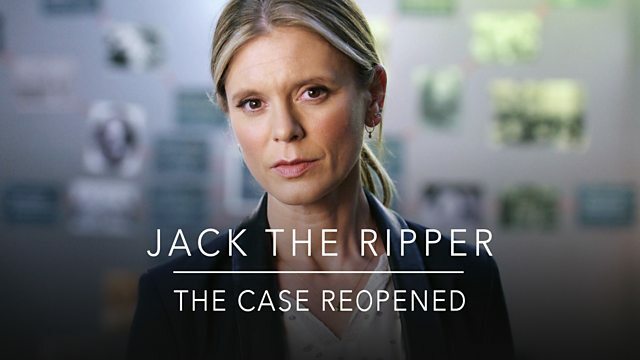 Presented by the star of BBC One drama Silent Witness Emilia Fox and Britain’s top criminologist Professor David Wilson, this documentary casts new light on the Jack the Ripper case. Together Emilia and David look at the Ripper’s modus operandi using modern technology - like a digital autopsy table - and recreating the murder sites to help understand the extraordinary risks the Ripper took to kill his victims. Also, using the Home Office Large Major Enquiry System (HOLMES), a bespoke computer system used by the police to help detect patterns in criminal activity, and evidence uncovered within the investigation, results strongly indicate that Martha Tabram was in fact the first Ripper victim. Convinced that Martha Tabram was the Ripper’s first victim, Emilia and David ask a geographical profiling expert to take a fresh look at the pattern of Ripper murder sites, which takes the investigation in a completely different direction, ultimately identifying the most likely suspect. The debate about Jack the Ripper’s true identity is already over 130 years old and is sure to continue, but this documentary casts new light onto the case and is as definitive as could be in naming the killer.